Before you start building your business structure in ResRequest it’s important to understand how the different levels work. To build the business structure you can add units at each level and then add information to each unit. The structure is really customisable and can be changed to accommodate many different types of businesses. In this guide, we will take a look at a basic business structure. Many businesses operate with multiple companies with each company operating different properties. This can easily be set up in a single ResRequest system. In this example we can see a business structure that was set up with multiple companies and properties. Single marketing unit, Mandarin Magic. Two companies and invoicing units, African Savannahs and The Islands. 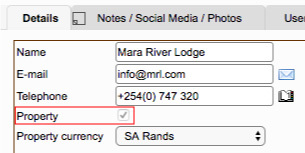 4 properties, 2 properties under African Savannahs company: Mara River Lodge and Beach Lodge and 2 properties under The Islands company: Robben Island and Island Lake. The different room types under the relevant properties. 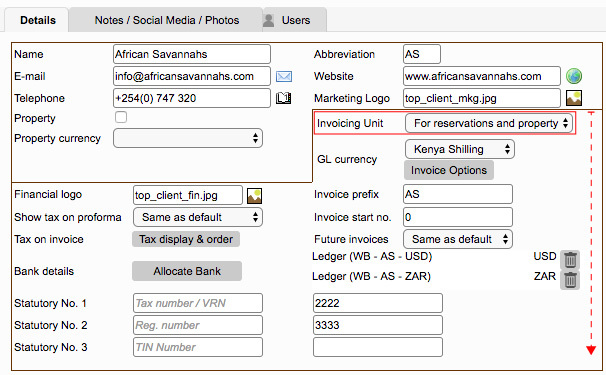 To set a unit as an Invoicing unit, select the Invoicing option on the Details tab of the information popup and enter the relevant details below. Once you specify an entry as an Invoicing Unit, it becomes mandatory to enter certain company specific data. See the Invoicing units tutorial for more information. 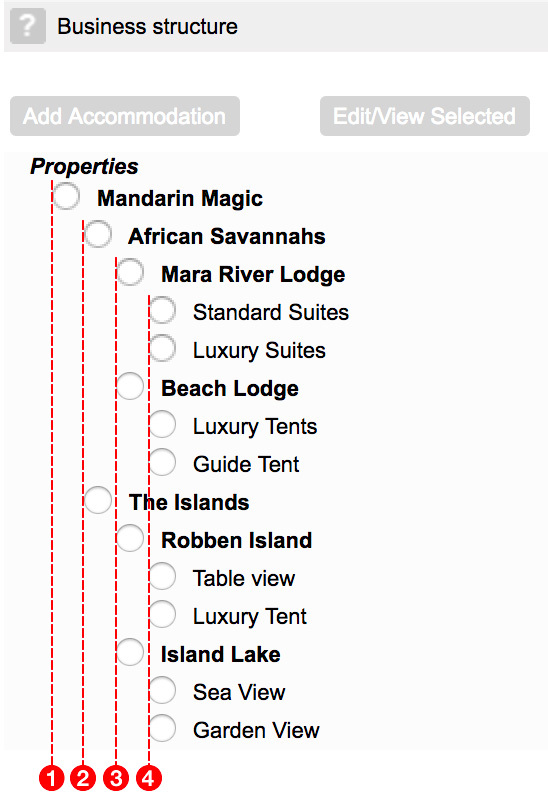 To set a unit as a property, tick the ‘Property’ option on the Details tab of the information popup.